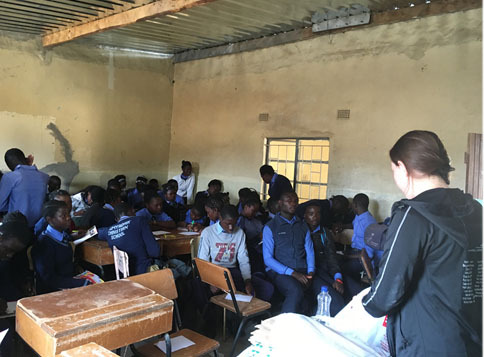 Kirsty Hawk and Sofia Corti delivered a program in Lusaka, Zambia to educate students and teachers about the environment, sustainability and waste management. Their goal was to change perspective on numerous topics surrounding the environment among children in Lusaka and help create a responsible new generation who will lead the future of Zambia. Kirsty and Sofia first brainstormed the idea when discussing how attitudes towards and perceptions of the environment vary from country to country. As a native of Lusaka, Kirsty identified that recycling and waste management are topics that are not fully covered in the Zambian curriculum, so the pair set out to develop their own sustainability education program for local students. With GoMakeADifference funding, the Lus-cyling program brought information about sustainability into a community that would not have otherwise learned about this crucial topic. The team spoke to over 600 students in various schools across Lusaka, where students were able learn more about the environment. Using songs, games and activities, the workshops covered a wide range of topics such as recycling, reducing, reusing materials that are normally available in abundance in Lusaka (such as bottle tops and plastic bags). 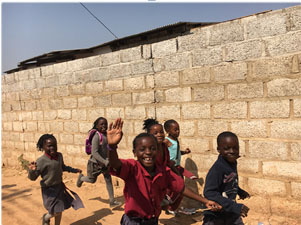 The community will experience an enduring benefit as a result of the Lus-cyling project, as Kirsty and Sofia distributed an educational booklet to help educators in Lusaka run their own environmental workshops. The opportunity provided Kirsty and Sofia with the chance to sympathise with another culture while working as a team to come up with creative ways to educate young people about sustainability and the environment. They were able to develop their communication skills and the project showed them how much they can achieve with determination and hard work. We were both proud to have undertaken a project that challenged us to put our passions and philosophies to the test.